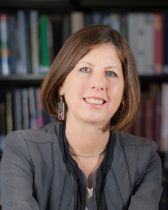 Wendy Wall, Professor of English (Ph.D. University of Pennsylvania), specializes in early modern literature and culture; food studies; gender studies; women’s writing; poetry recipe culture; theater; and manuscript / print studies. Co-creator (with Leah Knight at Brock University) of the open access, critical edition, The Pulter Project: Poet in the Making, she is also author of The Imprint of Gender: Authorship and Publication in the English Renaissance (Cornell University Press, 1993), Staging Domesticity: Household Work and English Identity in Early Modern Drama (Cambridge University Press, 2002), which was a finalist for the James Russell Lowell prize awarded by the MLA and a 2002 Choice Outstanding Academic Title Award Winner; and Recipes for Thought: Knowledge and Taste in the Early Modern English Kitchen (University of Pennsylvania Press, 2016). She is Director for the Alice Kaplan Institute for the Humanities at Northwestern and past president of the Shakespeare Association of America. Wall is involved with public humanities partnerships, including teaching at Stateville Maximum Security Prison as part of the Northwestern Prison Education Program and the Prison +Neighborhood Arts Program; serving as a judge for the Chicago Shakespeare Slam and participating in educational programs with the Chicago Shakespeare Theater, The Newberry Library, and the Chicago Humanities Festival. Professor Wall has been the recipient of several grants and awards for her teaching and research, including the Charles Deering McCormick Professor of Teaching Excellence (2016-19), a fellowship from the National Endowment for the Humanities, a 1993 Teaching Award from Mortar Board, a 1998 Weinberg College of Arts and Sciences Distinguished Teaching Award, the College of Arts and Sciences AT&T Research Fellowship, and the 1998-2001 Wender-Lewis Research and Teaching Professorship. She was co-editor of Renaissance Drama from 1997-2005. Professor Wall has published articles on topics as wide-ranging as editorial theory, gender, poetry, national identity, the history of authorship, food studies, prison teaching, digital publishing, domesticity, theatrical practice, and Jell-O. "Reading the Home: The Case of the English House-wife." Renaissance Paratexts. Eds. Helen Smith and Louise Wilson (Cambridge University Press, 2011). "Literacy and the Domestic Arts." Huntington Library Quarterly. Special Issue, "The Textuality and Materiality of Reading in Early Modern England." Eds. Jennifer Richards and Fred Schurink 73:3 (2010): 383-412. "Distillation: Transformations in and out of the Kitchen." Renaissance Food. Ed. Joan Fitzpatrick(Ashgate Press, 2010), 89-104. "Women in the Household." The Cambridge Companion to Early Modern Women's Writing. Ed. Laura Lunger Knoppers (Cambridge University Press, 2009), 97-109. "Early Modern Authorship in 2007," Forum on "The Return of the Author." Shakespeare Studies, ed. Susan Zimmerman and Garrett Sullivan, Vol. 36 (2008): 60-66. "Just a Spoonful of Sugar: Syrup and Domesticity in Early Modern England." Modern Philology 104:2 (2006): 149-72. "De-generation: Editions, Offspring, and Romeo and Juliet." From Performance to Print in Early Modern England. Eds. Peter Holland and Stephen Orgel (Palgrave Macmillan, 2006), 152-72. "Jell-O: Mortality and Mutability in the Kitchen." Gastronomica: The Journal of Food and Culture 6:1 (2006): 41-50. "Editors in Love: Textual and Authorial Desire and Romeo and Juliet." The Blackwell Companion to Shakespeare and Performance. Ed. Barbara Hodgdon and W.B. Worthen (Blackwell, 2005). "Dramatic Authorship and Print." Writers of the English Renaissance, Vol. 1. Ed. Garrett Sullivan and Andrew Hadfield, (Oxford, 2005). "Blood in the Kitchen: Violence and Early Modern Domestic Work." Women and Violence in the Early Modern Period: Essays in Honor of Paul Jorgensen. Eds. Linda Woodbridge and Sharon Beehler (University of Arizona Press, 2002), 329-60. "The Merry Wives of Windsor." A Companion to Shakespeare, Vol. III: The Comedies. Ed. Jean Howard and Richard Burt (Blackwell, 2002). "Why Does Puck Sweep? : Fairylore, Merry Wives and Social Struggle." Shakespeare Quarterly, 52 (2001): 67-106. "Circulating Texts in Early Modern England." Options for Teaching Early Modern British Women. Ed. Susanne Woods and Margaret Hannay. (Publication of the Modern Language Association, 2000. "Constructing Authorship and the Material Conditions of Writing." Commissioned piece for The Cambridge Companion to English Literature, 1500-1600. Ed. Arthur Kinney (Cambridge, 1999), 64-89. "'Household Stuff': The Sexual Politics of Domesticity and the Advent of English Comedy." The Journal of English Literary History (ELH) 65 (1998): 1-45. "Renaissance National Husbandry: Gervase Markham and the Publication of England." The Sixteenth Century Journal 27 (1996): 767-85. "Isabella Whitney and the Female Legacy." The Journal of English Literary History (ELH) 58 (1991): 35-62.